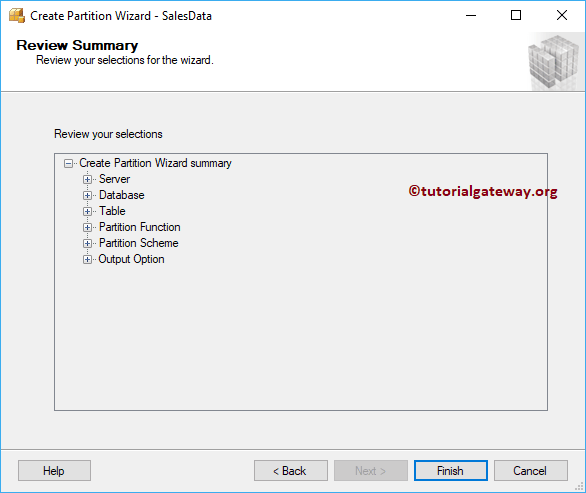 In this article, we will show you, how to create SQL Table Partitioning using SSMS or Sql Server Management Studio. 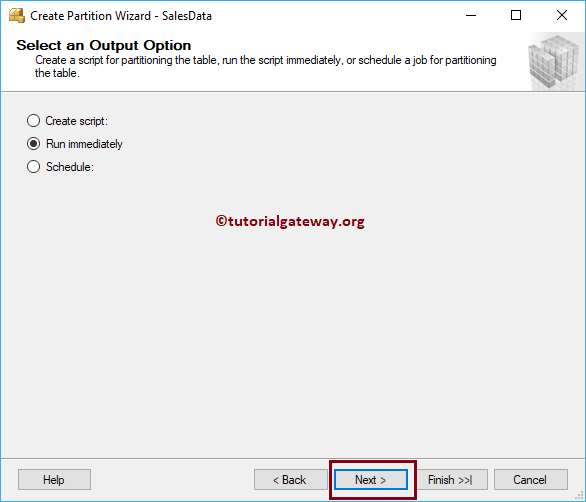 TIP: Please refer Create Table Partition article to understand the steps involved in creating table partition using T-SQL Query. For this demonstration, we are going to use the below shown table. 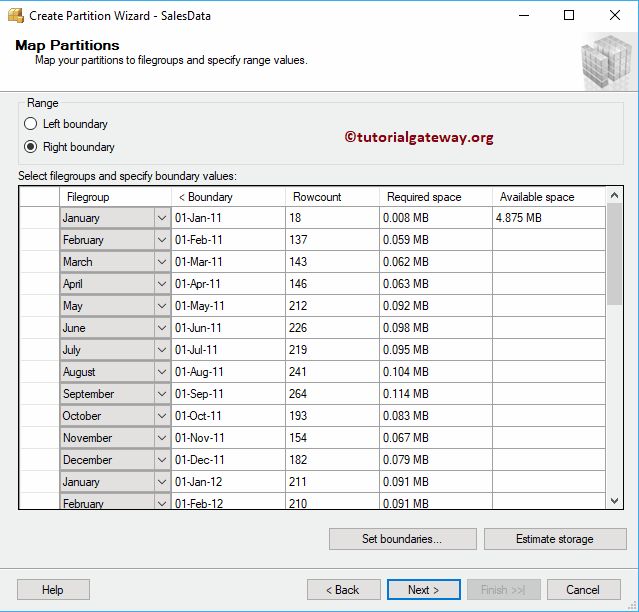 This table is created from the Adventure Works DW database. 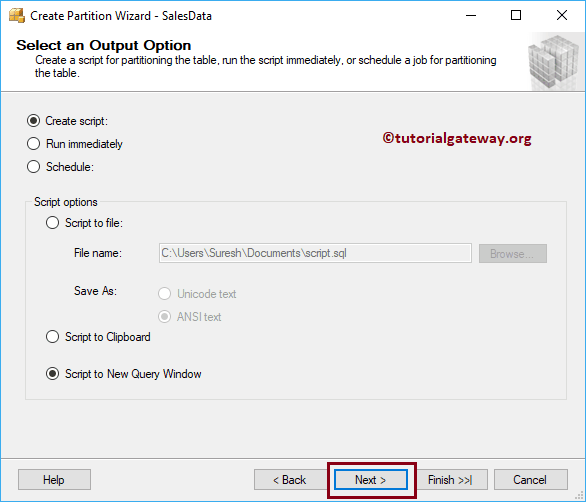 You can use below SQL query to get the same data. 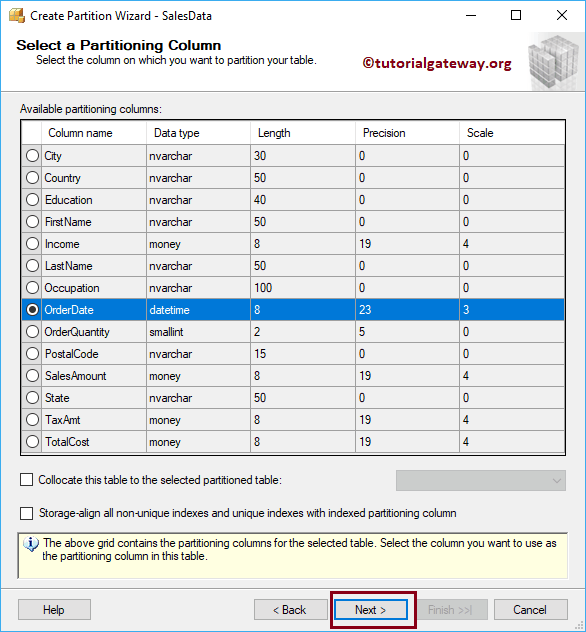 To create a SQL Table Partitioning, please navigate to table on which you want to create partition. 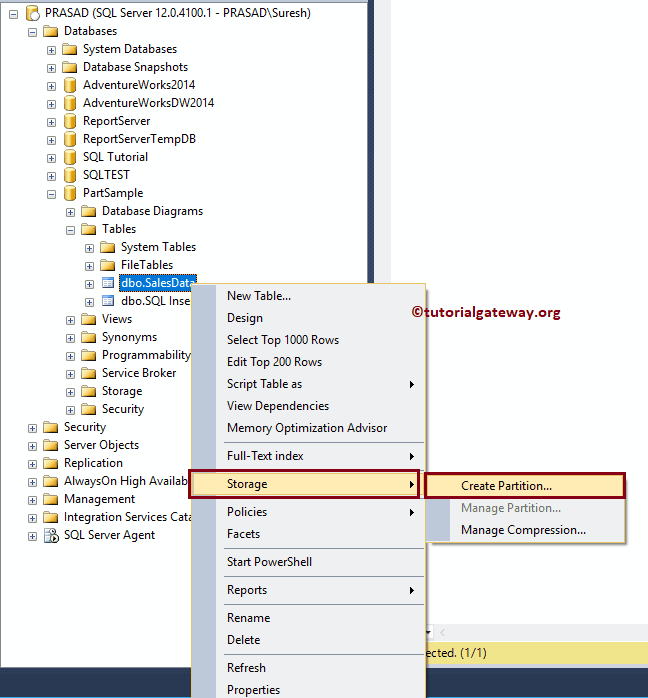 Next, right-click on it, and select Storage and then Create Partition option from the context menu. 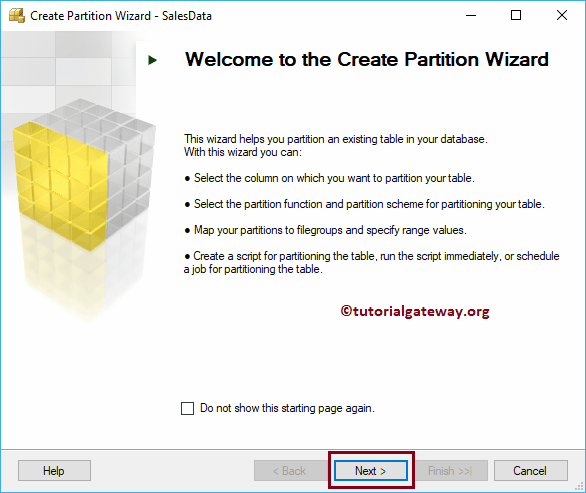 Use this page to select the existing partition function, or create a new partition function. 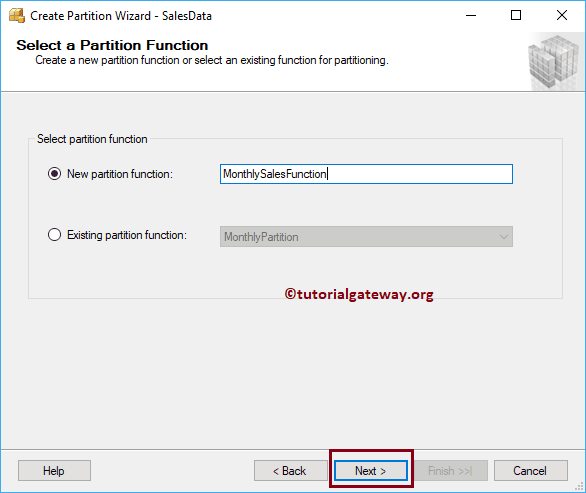 Let me create a new by assigning a name called Monthly Sales Function. 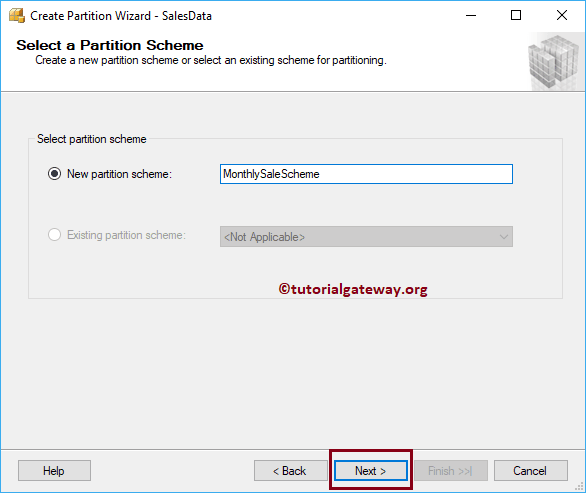 In this page you can either select the existing partition scheme, or create a new scheme. 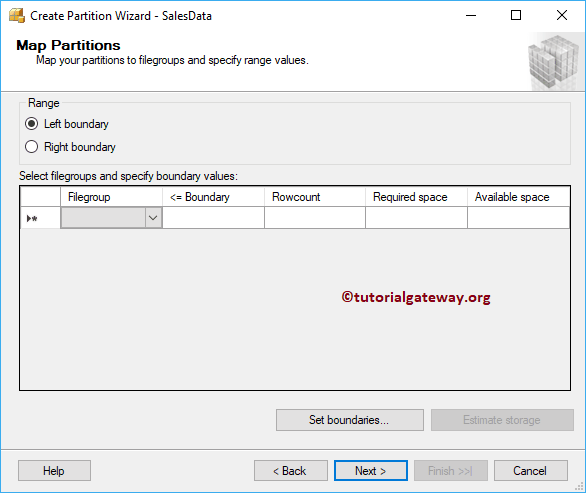 If you are creating theme for new function then existing partition scheme selection is greyed out. 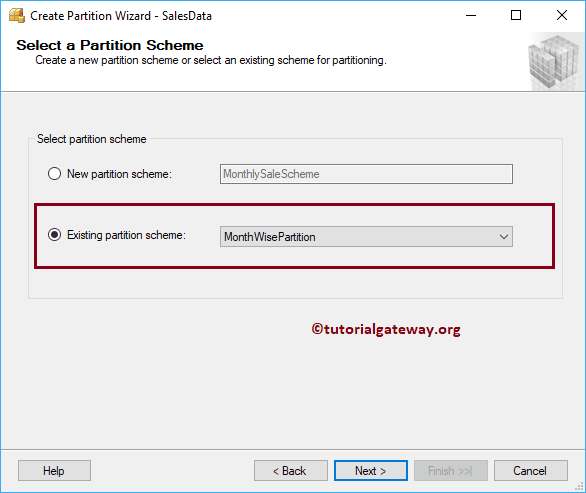 Let me create a new by assigning a name called Monthly Sales Scheme. 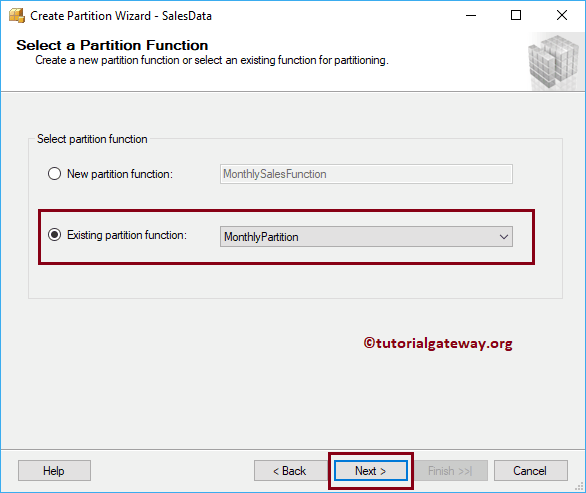 Let me show you, what will happen if you select the Existing partition function called Monthly partition. 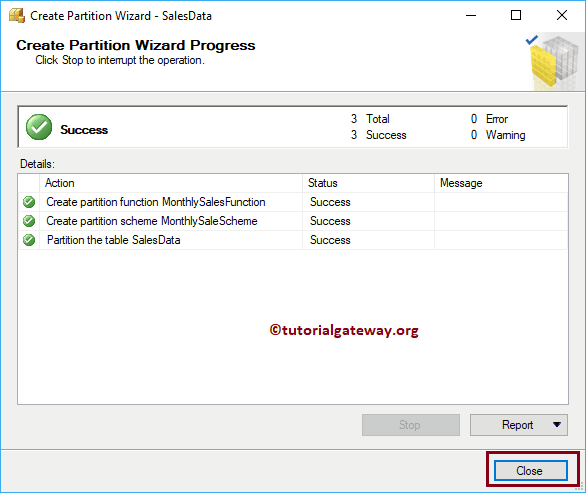 This partition was previously created using Query. Now you can see, it is allowing you to select the existing scheme. Or, you can create new scheme. Use drop down box to select the Month names. 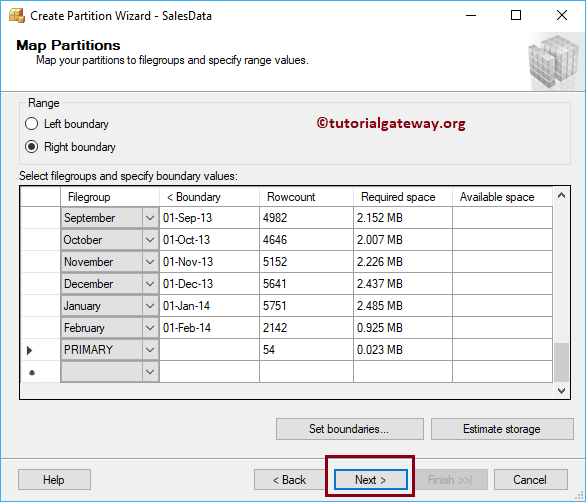 Please use Set boundaries button to select the from date and to date, and Estimate Storage to estimate the required disk space. Create a Script, and run later. Schedule: You can this script to run.